What in the world do you do in the Sunshine State when it rains ALL DAY LONG but is still HOT HOT HOT? Well... you go the mall of course. I mean... a toddlers gotta run around a little, right? The idea of staying stuck at home was not at all appealing. 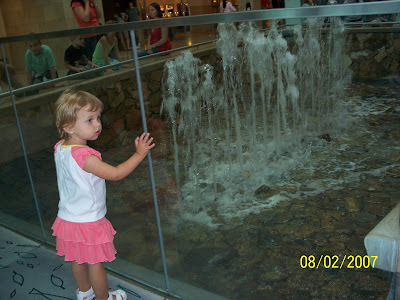 So, we spent a very rainy morning at The Mall at Millenia. (for anyone from here in NJ... it reminded me of The Mall at Short Hills. 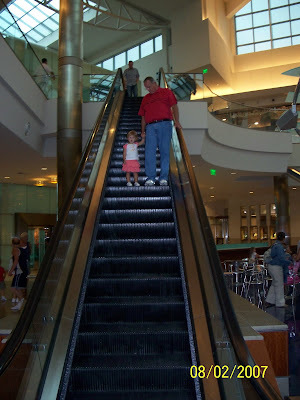 La-dee-da fancy... you know.... can't just be Millenia Mall, or Short Hills Mall. It's gotta be "The Mall at...". Anyway... fancy mall or not... it gave us something to do out of the house and out of the rain. 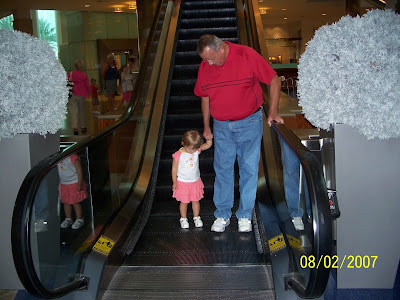 Or... maybe her favorite part was the escalator? No... maybe it was this fountain. 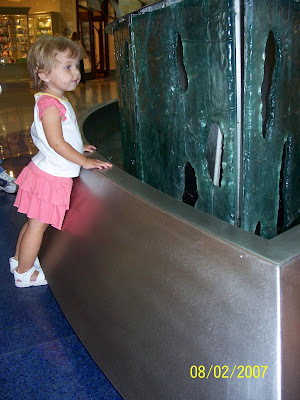 She could have stood and watched this fountain all day long. 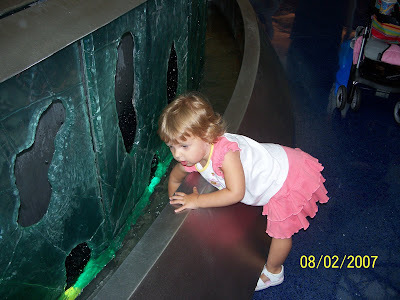 The girl just loves water!